The Race Of Champions comes to London this year, hosted at the London 2012 Olympic stadium in Queen Elizabeth Park on the 20-21 November. If you’ve been hiding under a rock for the last two decades and don’t know what it is, watch that video up there and then find out how you could win a SuperBike exclusive passenger ride with Jorge Lorenzo, who will be competing at the event. Friday 20th November is the team event, where drivers pair up in teams based on nationality to compete for the ‘World’s fastest nation’ title. Saturday 21st is when the gloves come off and it’s an all out race for solo glory. Lorenzo and Doohan, keeping it real among the four wheeled heavyweights. Over the last twenty years of Race Of Champions, Valentino Rossi, Troy Bayliss, Mick Doohan and Travis Pastrana have all flow the two-wheeled flag. This year it’s two time MotoGP champion, Jorge Lorenzo who’ll be stepping up again and representing bikers for all of us. Cars, they’re not all bad. We’ll be keeping everyone up to date with the Race Of Champions in the build up to what will no doubt be a fantastic weekend of racing. 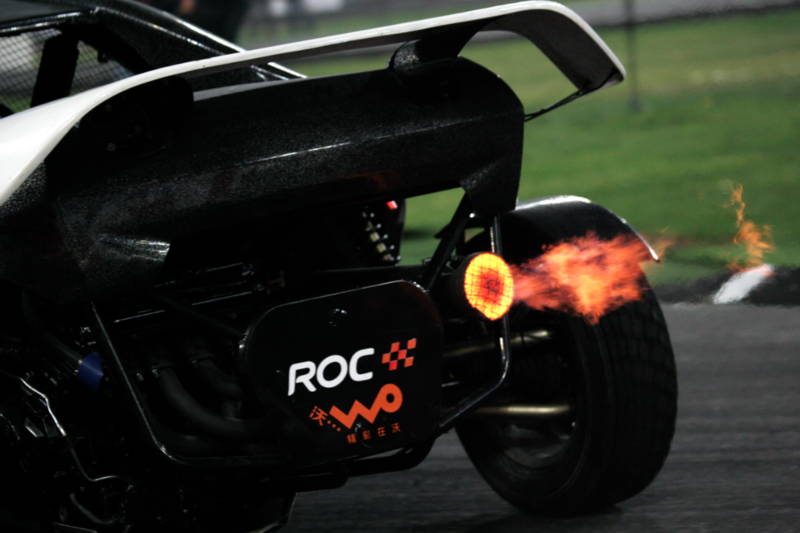 Keep an eye on our social media channels for more info’, or follow the ROC guys direct here. * We haven’t been sent the height and weight limits required to fit in the seat next to Lorenzo yet, once we have them, we’ll share them on here.